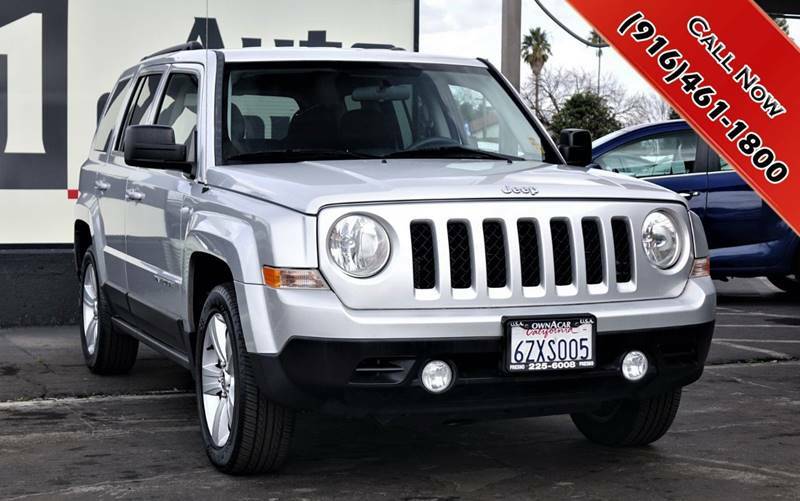 Sorry, we couldn't find any 2012 Jeep Patriot listings that matched your search criteria. Avg. Dealer Rating: (14 reviews) "They responded to my question right away." Avg. Dealer Rating: (95 reviews) "Great company! Told them I was coming to test drive a car had it ready and running when I showed up. Car was clean and nice. Staff was courteous. Did not purchase that vehicle but probably will when the right one shows up. " Avg. Dealer Rating: (9 reviews) "I traveled over a hour to see the dodge and it was just as described. There was no high pressure to buy just down home good people to deal with. They took care of one problem no questions asked. Thanks Ben!!" Avg. Dealer Rating: (11 reviews) "Responsive and kind"
Avg. Dealer Rating: (15 reviews) "I sent the dealer a message via CarGurus about a specific car. Within 12 hours, the dealer had emailed me back. When I connected with the dealer, I was directed to the car, and it was exactly as advertised - it was a good car. I ended up purchasing a different vehicle, but the dealer was honest and helpful in directing me to the best vehicle for my needs. I never felt any pressure to make a decision, and the dealer made the process straightforward and simple. I highly recommend Autos 4 Less in Bloomington, IL. " Avg. Dealer Rating: (25 reviews) "I reached out inquired about the car, while on vacation from GA. The rep. asked me if I was registering the car in GA. When I said yes, she stated they do not sell to GA residents due to being screwed by taxes. She didnt ask if I was willing to pay them... their loss"
Avg. Dealer Rating: (10 reviews) "Very nice staff"
Avg. Dealer Rating: (25 reviews) "Riverside contacted me promptly after having expressed my interest in a car they had, and were very flexible about allowing an inspector review the car, which they also followed up on. They came across as being on the ball and service- minded. " Avg. Dealer Rating: (26 reviews) "Very good to work. Quick and efficient. " Avg. Dealer Rating: (3 reviews) "Excellent service. The owner will go above and beyond to get you into the right vehicle! Thank you Jason "